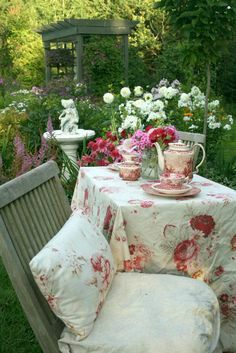 I've always fancied a place to shelter in the garden, a retreat, a studio, a place where you can sit with friends enjoying a glass of wine or simply snuggling up in blankets with a cup of tea and a good book. Shepherds hut chic. I am mad for these huts at the moment. 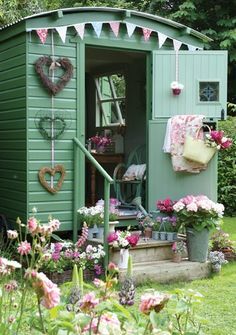 Check out +The English Shepherds Hut Company for gorgeous custom made huts... I'd have a log burner in mine! Use as guest rooms or studios. I own one and theres nothing quite like being self suficient. 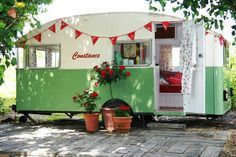 Great for guests, summer house studio or when you just need a place to unwind. Plus the rain sounds great when your wrapped up inside! 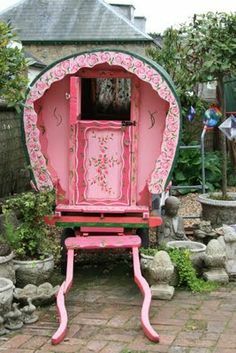 Gorgeous Gypsy Wagon, Oh how fabulous! 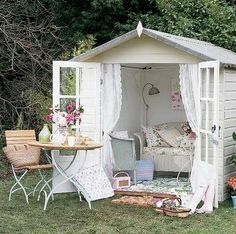 Pretty pastel painted summer house. Furnish with gorgeous vintage finds in pastel shades. Porch Snug. If your lucky enough to have a porch use it as an extension of your home and garden. 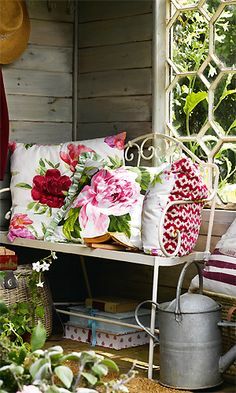 A lovely iron bench with pretty cushions will fit nicely into a snug space. Now all you need is a good book!